Length 7 to 9 mm. 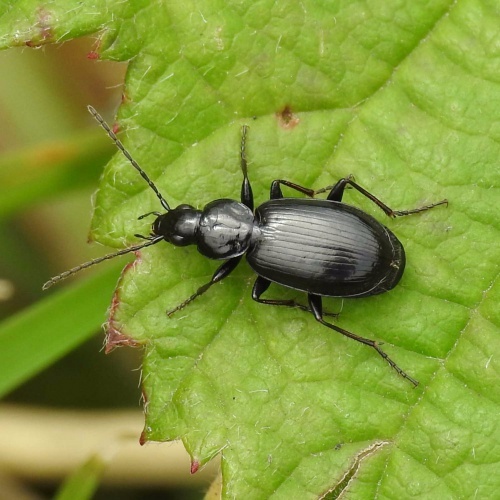 There are 15 British species of Agonum, mainly associated with damp habitats and all with rounded pronotum hind angles. 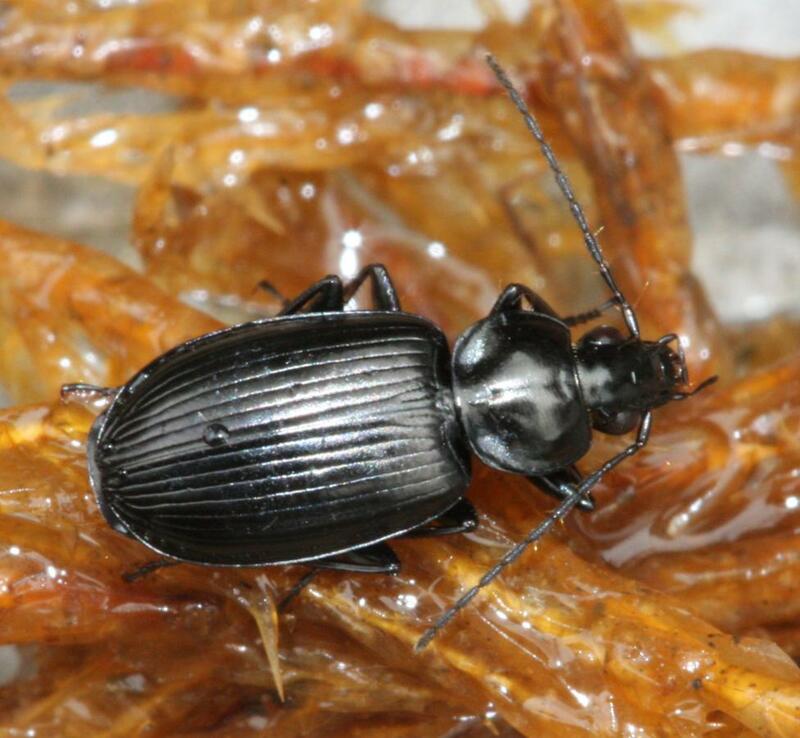 Agonum emarginatum is shining black, with just its tibiae and tarsi sometimes dark brown. The pronotum is very rounded at the base. 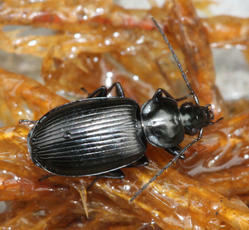 It is found in damp habitats, usually in marshes or near freshwater. Widespread and abundant in Britain. Common in Leicestershire and Rutland. There were a total of 65 VC55 records for this species up to March 2015.